if you want a treat, touch your nose! ? This is our Australian Shepherd, little Bindii at three months old. 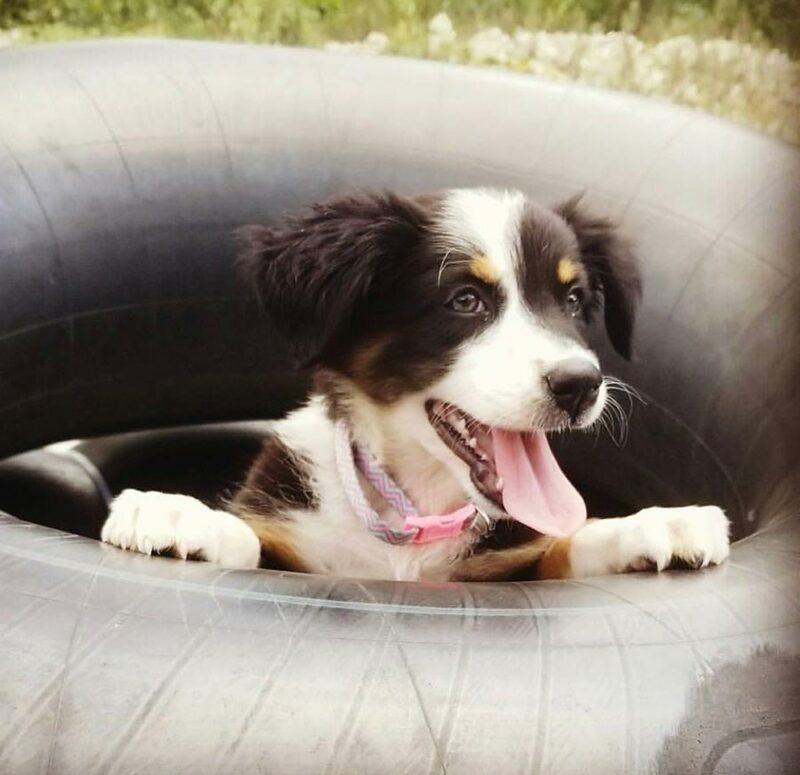 This picture is her first river trip and she was very excited! Bindii is an Australian Aboriginal name meaning “little spear.” She loves the river and playing outdoors with her Black Lab big brother, Beaudreaux. As long as she is by me or her dad she is a happy little thing. Submitted by Melissa C.
Speaking of Australian Shepherds, here are ten Ausssie puppies growing up! A timelapse from two to seven weeks. Watch them grow! Buddy the rescue dog loves to play piano and sing along. He loves entertaining his family and fans! Charlie the Shelter Dog was found on the side of the road and brought to an Los Angeles area Animal Shelter. He was covered in painful burrs. Charlie needed to be adopted quickly because the facility was a high kill shelter. The transformation saved his life. After his makeover, he was adopted. 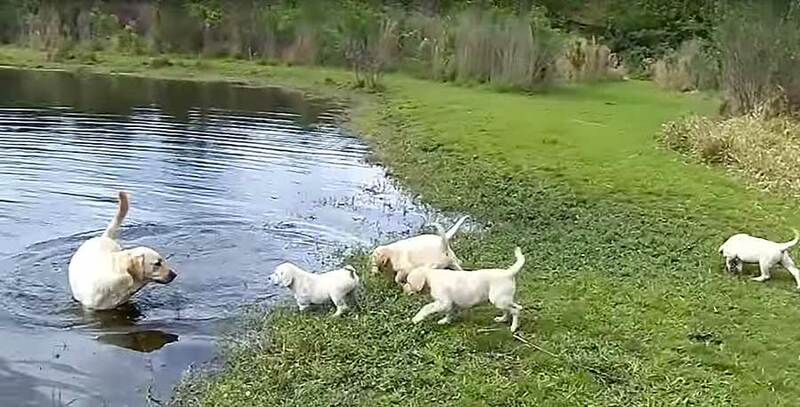 Watch this Yellow Lab take all of his puppies to the pond and show them how to swim. All of them have a ball jumping in and out of the water and then running along the grassy path. This video doesn’t have any music or talking… just the sounds of the puppies having fun. Do you have 36 seconds to spare? Walter is a Yellow Labrador who really loves the sea! Watch this short video of Walter running to the beach with a GoPro Camera on his back.